Home|Articles|How Industries can OPT for Economic Labelling Options when it Comes to Double Side Labelling? Packaging is a combination of many aspects and labelling comes under secondary requirement in packaging. Labelling is considered the second level in packaging that is considered a compulsory aspect to give complete identification prospects to the brand and respective brand. Labelling process differs as per the industrial norms. 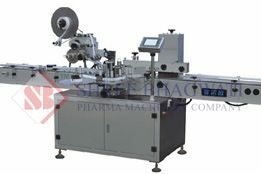 Hence, labelling machines are customized as top side, front and back and top and bottom labelling equipment. 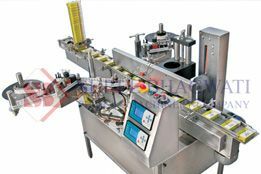 Labelling equipments are designed to manage labelling process and it differs according to the kind of box up material and the product that is stuffed inside. A front and back labelling machine remains a suitable labelling option to stick labels on both front and back side of the product. 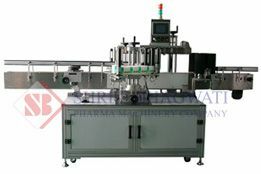 A double side labeller machine is available in both automatic and semi automatic design. The conveyor helps to process the products in sequence and additional specification is provided to turn the product on sides to stick the label on both sides. Labels are applied either on sealing products or caps to give specific identity to the product. Package industries prefer to get labels printed with brand image to apply on top of the product and labels printed with product information to be applied on the sides of the product. Labelling on the caps and sealing products is required in pharmaceutical and chemical products in large quantity. Beverages and processed food stuffed in glass containers are also packed in terms of sticking labels on the caps as that is considered mandatory to avoid duplication of products. For industries which need different labelling requisites should find a labelling machine which can adapt different labelling requirements such as top, front and back and top and bottom, etc. Indian manufacturers supply flexible packaging machinery by accepting the customization requests. Why to choose labelling equipment from India? 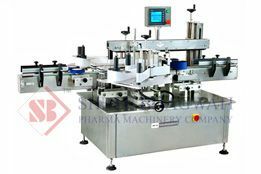 Labelling machines are available with customized options and at cost effective prices in India. Buying front and back labeler machine or top side labelling machine or any preferable design from Indian manufacturers will stay an effective investment as the manufacturers and supplier take care of the maintenance and spare parts supply aspect. Before investing on double side labeler machine it is very important to check for the flexible specifications provided in the machine. This will help the packaging process to remain fast and reliable and economic as well. Packaging requirements with multiple side labelling demands can be managed economically by choosing double side labelling machine. This equipment will also reduce the cost for labelling process than labelling done with manual support. Finding the proper labelling component such as customized and self adhesive labels is another way of reducing the expenses for labelling.